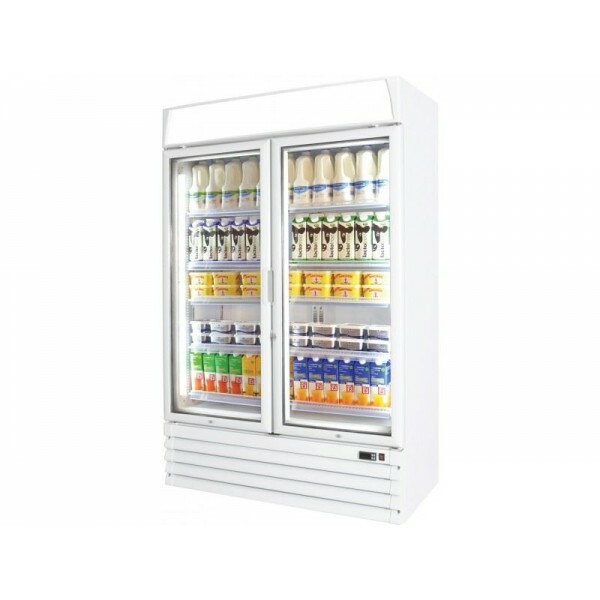 The Prodis XD2PW is a supermarket specification heavy duty glass door display cooler in a white finish. 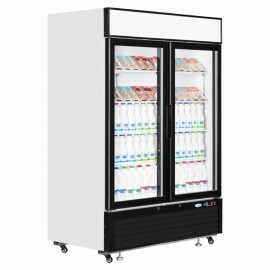 A fantastic value double sliding door display fridge with generous 895 litre capacity. The cabinet c.. 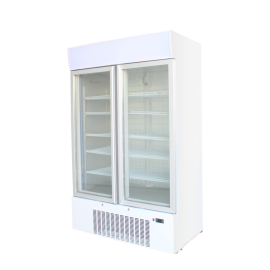 The Interlevin LGC range of glass door chillers gives you an option of matching single, double and t.. 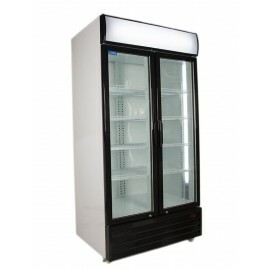 The perfect double door display chiller for selling drinks, sandwiches and chilled conveni.. 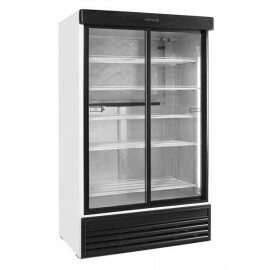 Perfect for any retailer wanting to sell frozen goods in an effective, attractive environment. The K..